PGA TOUR Professional Jordan Spieth and The Jordan Spieth Family Foundation, in conjunction with the Northern Texas PGA (NTPGA) Junior Golf Foundation, are pleased to announce a partnership for participants in the Drive, Chip and Putt local qualifiers conducted in North Texas. In an effort to promote interest and participation in the game of golf, the Masters Tournament Foundation, United States Golf Association and The PGA of America created the Drive, Chip and Putt Championship, a free, nationwide junior skills competition. Junior golfers that participate in a Drive, Chip and Putt qualifier this summer in North Texas who have never been a Member of the Northern Texas PGA Junior Golf Foundation will receive one free tournament on the NTPGA’s Junior Tour compliments of the Jordan Spieth Family Foundation. Qualifiers will take place from June through August. To register for this free, nationwide junior skills competition, visit www.drivechipandputt.com. 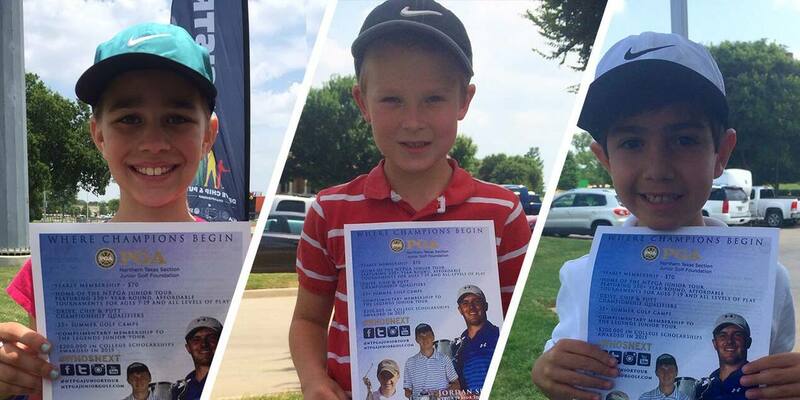 In addition, the NTPGA Board of Directors has approved a complimentary 2015 Junior Tour membership for these junior golfers to keep them playing this year and beyond. “We are honored to partner with Jordan on this initiative as he learned how to play on our Junior Tour more than a decade ago. Jordan remains so grounded and he genuinely cares about kids, so in many ways this is a tremendous opportunity for him to give back and to promote the growth of the game. I’m sure he is hoping that through this partnership a kid will get their start with us just like he did by playing locally on our Junior Tour,” said Mark Harrison, Executive Director of the Northern Texas PGA. To learn more and register for the Drive, Chip and Putt competition, visit www.drivechipandputt.com; to learn more about the Jordan Spieth Family Foundation, visit www.jordanspiethgolf.com/charitabletrust or to learn more about the Northern Texas PGA Junior Golf Foundation, visit www.ntpgajuniorgolf.com.